Coming up next, Seitel Systems will be the featured speaker at an exclusive brown bag lunch event for WDTL members. 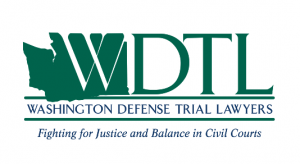 For membership information and to RSVP, visit WDTL.org. Most of us are familiar with the recent news regarding the Hacking of Law Firms. On Thursday, January 19, join David Leonhardt, Managing Partner of Seitel Systems (A new WDTL Core Sponsor), for a brown bag lunch highlighting today’s network security threats to your legal practice and steps you can take to combat them. An experienced business leader who holds an MBA from UW as well as an Aeronautical Engineering degree from the University of Illinois, David excels at translating technical challenges into real-world terms that are meaningful to legal executives. Look for his article “Staying Connected, Staying Protected” in the Q1 2017 issue of the WDTL Defense News. Location: Keating Bucklin & McCormack. Lunch provided by Seitel Systems.